The ORED Mission: SUNY Buffalo State is an economic driver in WNY. We facilitate real world research opportunities for our students and faculty and we actively work with campus and community partners to advance economic opportunity, innovation, and entrepreneurial vitality within our region.  SUNY Buffalo State's Office of Research & economic Development (ORED) consists of an experienced team of professionals committed to assisting faculty, staff, and stakeholders to develop and submit compelling, competitive funding proposals. We believe that your idea for a grant deserves all the care, attention, and support possible. The ORED collaborates with our colleagues within the Buffalo State community to attract external funding and to contribute toward economic advancement in our region. SUNY Buffalo State has an exceptional cadre of faculty and staff coupled with a diverse array of dynamic, exciting programs - but they sometimes just don't get the attention... or funding they deserve. The office for Research and Economic Development is structured to provide a range of consultative services designed to facilitate the effectiveness of the grant proposal development and submittal process. We work with faculty, staff, and associated partners and stakeholders to build and strengthen emergent initiatives and to offer ongoing technical assistance and guidance that can make the difference in getting the funding their project deserves. A very productive and competitive external funding process is an effective way to not only fund the important work we do but to share Buffalo State's story with the larger community beyond our campus. A great idea alone is seldom sufficient to get a proposal funded. The idea is just the starting point. A winning proposal is the product of strategic planning, collaborative effort, careful attention to detail, structure, and process - combined with the development of a readable and compelling narrative that engages panel reviewers... all in addition to that great idea. Evidence shows that a high percentage of grant proposals are rejected for reasons that are unrelated to the actual value of the idea itself. In other words, a very large numkber of proposals fial for reasons that could have been corrected prior to submittal. Make sure you get the full return on your investment! Even under the best of circumstances, the quest for grant funding has always been challenging. In today's austere economic environment, with heightened demand and reduced available funding, the odds for success are more daunting then ever. But we know that we can improve SUNY Buffalo State's success rate in the pursuit of external funding!